Effective medical equipment financing is literally a matter of life and death. Unless you can obtain the most advanced equipment, drugs, and personnel to deal with every variety of diseases and injuries, you won’t be able to heal patients in critical conditions. A lot of people complain that some health institutions do not take the lives of their patient serious, because they don’t have the necessary medical equipment that can save the lives of many people. Having the right medical equipment at the right time is paramount for every health institution. What are medical equipment finance companies? Medical equipment finance companies specialize in helping medical institutions with the financing of their medical equipment in order to avoid any form of death or injury. Running a medical institution is not a joke, I mean a successful one. The cost of quality medical equipment are always very expensive, so therefore, keeping up to date with these important medical equipment might be quite expensive. In order to keep running a successful medical institution, medical equipment finance companies are definitely the answer. Overhead costs are indirect and fixed costs that are not directly linked with the delivery of services- in this case, treatment of patients. Making use of medical equipment finance would help cut down expenses making it cheaper than the original. Fixed prices of medical equipment would reduce when you make use of medical equipment financing. 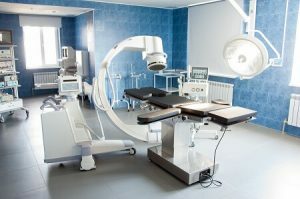 Medical equipment finance companies can make this happen; they offer financial solutions to medical institutions when it comes to medical equipment. Cash flow is the sum amount of money coming in and out a business. It simply means the total amount of money gained, utilized and lost. Every business should have a cash flow analysis in order to determine the rate of return or value. Medical equipment finance can help improve the cash flow of your health institution. Medical equipment need to be updated from time to time (mostly every year) to avoid any problem. Updating medical equipment is important but it’s not an easy task. These medical tools are very costly- if you know what I mean! Medical equipment finance companies can provide you with candid solution to this problem. Companies that make use of medical equipment financing are mainly health institutions like nursing homes, rehabilitation centers, private medical centers, veterinarians’ offices and other medical establishments. Medical equipment financing and leasing is way better than taking loans. Leasing involves renting something for a period of time. An agreement is established on the amount of money that would be paid mostly on a yearly basis. It is usually a negligible amount when compared to purchasing a new one. The money saved from leasing can be re-invested something else such as purchase of good quality housing facilities and other stuffs that would make your hospital more attractive and appealing. You get offer faster service to your patients because you have all the necessary equipment for treatment. At MHF we are experts in the business of helping medical institutions with financial solutions. We have a team of professionals appointed just to take of your needs. Our main goal is to facilitate swift and easy finance arrangements from application to settlement.